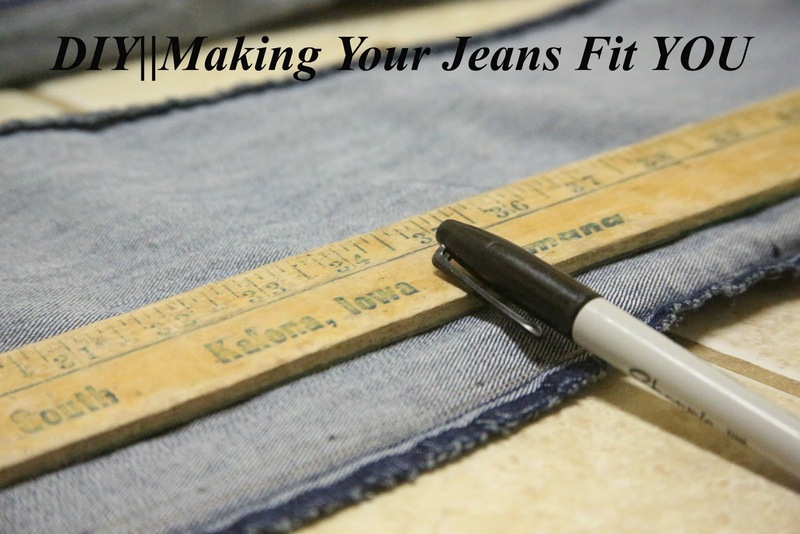 It can be a little tough sometimes to find the perfect pair of jeans that fit YOU. Or a skirt, for that matter. With denim, period....it is just hard to find the perfect fit sometimes. There are so many different body types, and so many different kinds of denim jeans + skirts, and sometimes it can just seem like a losing battle to find something that fits right in all the necessary places! But ladies, if you know how to use a sewing machine, than you are ARMED with all you need for this project. It might seem a bit intimidating. You think, "well, I've added length to skirts..and remade tee shirts...and things like that, but remaking DENIM? I can't!". Yes, you can. Its just easy as can be. 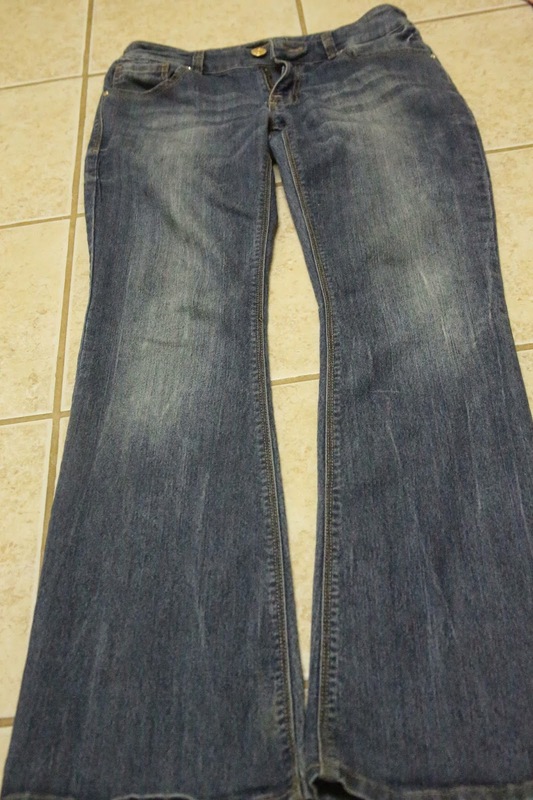 This was a pair of flares that I got lately. Flares are out of style + I'm not really fond of the look anyway, so that's what made me think about sewing them in. Goodwill had a "buy one pr get the second pr free" deal going on their jeans, so I got two pairs for basically nothing and went home and got right to work. First I tried the jeans on, to figure out what kind of a fit exactly I was wanting. I estimated how much I would want taken off of the flare. 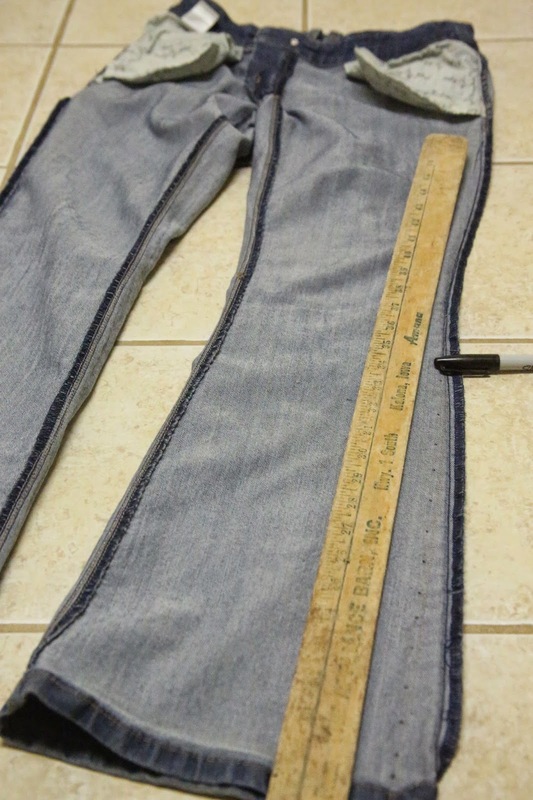 Then I turned the jeans inside out, and took a permanant marker and yardstick and made little dots all the way down the jeans so I would have an even line to follow when I sewed my seam. Next I took my pinking shears and cut a zig zag line along the edge, trimming of the excess. Finished product. Straight leg jeans that fit just puuuurfect. I also do this with skirts. 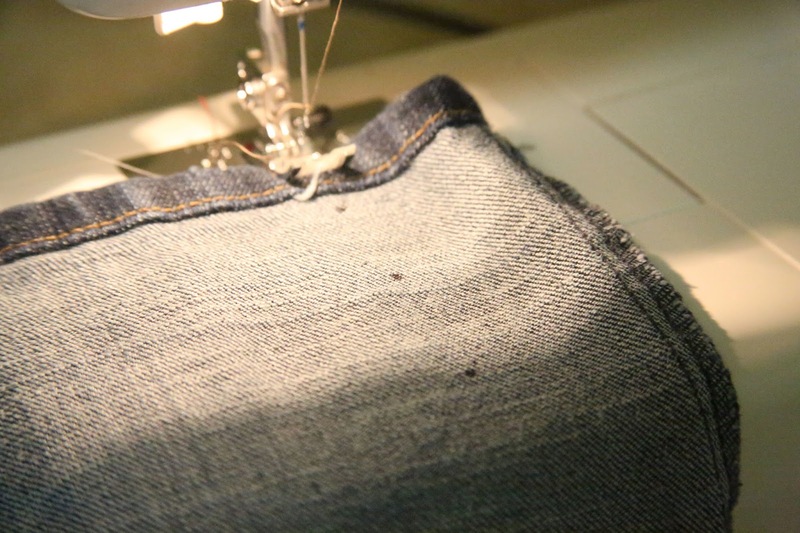 I sew in the waist band, or sew in the hips, or even sometimes sew in the both sides all the way down, from waist to hem. This way, I can get the perfect fit that I like. 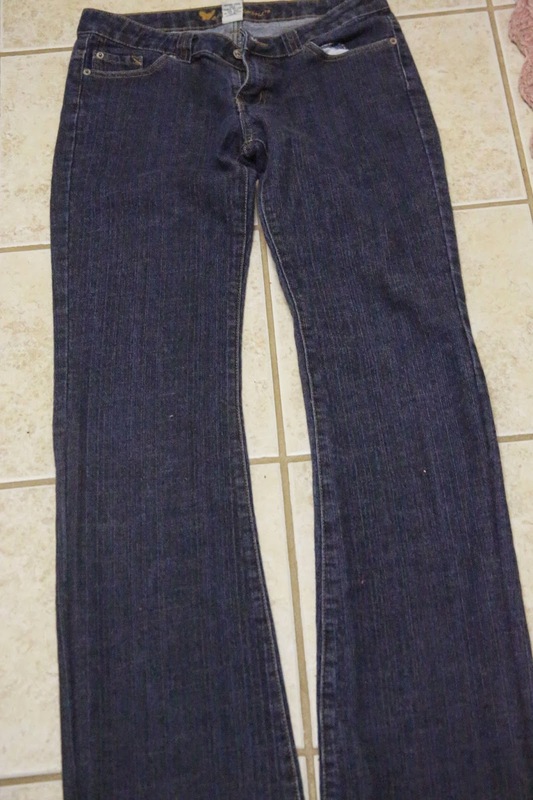 I have a slightly unusual figure to begin with, and so many times the denim items that I buy just doesn't fit right. Sewing things in is a LIFESAVER for me + gives me so many more options. 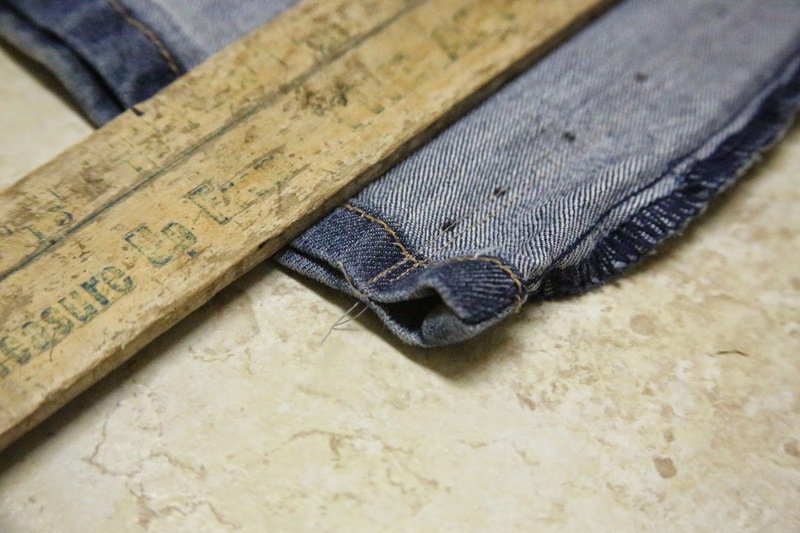 1) Start on an inexpensive skirt or pair of jeans. That way, if you mess up the first time or it doesn't turn out quite perfectly, you won't have wasted a bunch of $$. =) Nearly every time I'm trying a brand new idea or concept, I do it as much as possible on an inexpensive item. That way if it doesn't turn out, I don't feel like the whole thing was a waste. 3) Don't be discouraged if time #1 isn't perfect. I've had so many flops that went into my trash can instead of my closet. This is NORMAL. You can't have success on every first try. But don't stop trying just because your first item doesn't turn out. If at first you don't succeed, try try again! =) And even if its a flop, you can often salvage the fabric and use it for something else. Do any of the rest of you already do this? Do you have an item you have in mind to try it on? 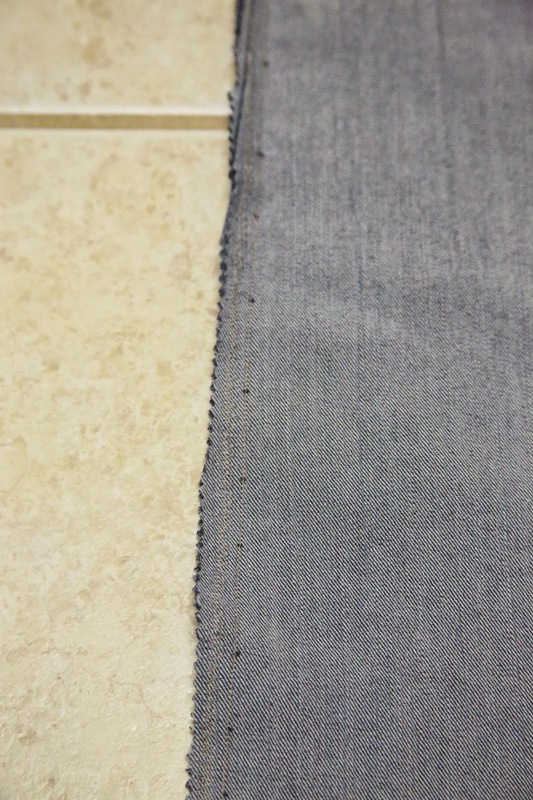 Any other helpful sewing tips you have? A success story to share?! Leave a comment! This is such a great post, Chels! Love it. I don't know how to use a sewing machine, but I'm sure that this will be a huge help for your readers who do. :) I have struggled with denim skirts many a time... wish we lived closer and I could hire you to do my sewing projects for me! Haha! That was very neat to learn. Thank you. I don't think I have any successful stories about changing pants into skirts:) I would definitely like some tips of how to do that. It is harder then it seems. Thank you again for your blog. You really encourage me! I'm praying for you. Thank-you so much; I greatly appreciate it!! So glad if it can be helpful!